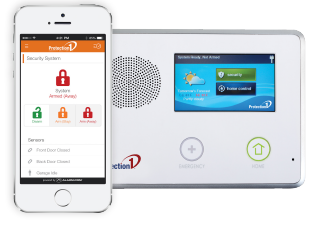 Protection 1 offers a focus on professional monitoring and smart home integration, resulting in a high-tech home security solution tailored to your exact needs. We value clarity, comprehensive support, and solid options in a home security setup at any level of pricing. It’s important to have that reassurance that your home, your possessions, and your loved ones are protected by a system that you pay monthly for. If you’re aiming to install a home security system in your own home, you’ll want to focus on the features that matter to you most, at a price you can afford. While every major home security provider shares a few basic features, some companies offer additional components that put them ahead of others. We’ve been in the same place you are, looking at the broad array of options out there and wondering what’s best. We want to help you decide if Protection 1 is the best bet for you and your family. This review is designed to give you the answers by covering the features, options, and reputation of this company so you can make an educated choice. No matter your living situation, you want to enjoy the peace of mind that comes with knowing your possessions, your home, and most importantly, your loved ones are safe and secure. If you’re anything like us, you’ll want to protect your home as soon as possible after moving in. If you don’t already have a home security setup in your permanent residence, it’s probably a good time to consider it. The ideal customer for Protection 1 is someone who is fairly comfortable using common technology, such as smartphones and computers, because the best benefits on offer will fully integrate with these devices for more comprehensive coverage. Still, the company offers professional installation only, so you won’t need to be an expert at technology and you won’t need to get the tools out to set everything up. They take care of it for you. The company also has fully embraced home automation, which means that their hardware will integrate with any smart home devices you may already have. This allows for simpler and more comprehensive control of what goes on in your home. As of 2016, Protection 1 is the second largest home security company in the United States. Founded in 1988, the company has built a strong reputation over the years, growing in size and customer base all along. According to the Better Business Bureau, they enjoy an A+ reputation as well as 95.6% customer satisfaction rating, both hallmarks of a solid home security choice. Protection 1 focuses on a simplified package system, centered on round the clock live monitoring, with additional elements added as they are desired by the homeowner. All plans share an impressive list of basic features, including a touchscreen control keypad, motion detector, intrusion detectors, keychain remote, and professional installation. They bill their service as a comprehensive package, with home installation to ensure that everything is setup properly without any effort required on your part as the homeowner. The idea is that you give them a call and they come to you and take care of everything from there on out. Great customer service record, including A+ accredited BBB rating. Mobile app for interactive monitoring from anywhere. Protection 1 website doesn’t offer much detailed information about their services, so you’ll have to call them for a personalized quote. With a standard $99 installation fee, service tiers bring the bulk of the cost into focus. These are as follows: Secure: $34.99, Secure+: $44.99, Smart Control: $49.99, and Video:$54.99. Each tier brings incremental additions to the scope of the service, allowing you to choose one tailored to the price level you’re most comfortable with. All levels cover basic intrusion protection, 24/7 monitoring, and integration with smoke and carbon monoxide detectors, while the upper tiers add features like cellular communication, web and mobile remote control, and video surveillance. While not available on the lowest-cost plan, Protection 1 offers remote monitoring and control via your computer or smartphone. This means that any function you perform with the keypad in your home can be done from anywhere with an internet connection. You’ll be able to monitor the sensors and cameras in your home, arm and deactivate the security system, and even use two-way voice communication to speak with anyone inside the home. The accompanying app is available on iPhone, iPad, Android, Blackberry, and Windows phone devices. As with any quality home security company, Protection 1 offers 24 hour, 7 day a week professional monitoring from a remote station. Their monitoring works with all devices integrated into the system, whether you have the basic motion and intrusion detectors, or a more thorough suite including video surveillance. They’ll monitor any integrated thermostat and keep tabs on your smoke and carbon monoxide detectors. The high ratings on BBB and elsewhere on the web show that this, the backbone of their service, is reliable and trustworthy. This is perhaps a boring point to make, but it’s important to know that when you or your home are in trouble, they will be there to summon the proper help needed. Protection 1 is ready to fully integrate with your smart home devices, including Z-wave support that allows it to control thermostats, lights, and more. Combined with the remote monitoring and control via your smartphone or computer, you’ll be able to command the features of your home from anywhere on earth. As smart home technology becomes more commonplace, it’s important that your home security setup recognizes and works with it. That way, you don’t end up with two completely parallel sets of controls that need tending to while you’re at home or away. To supplement our own evaluation, we scoured the internet to find out what customers have been saying about Protection 1. We found abundant reviews from regular people who have dealt with the product and the company. Here are a few examples. “In the ten years I have relied on Protection One, I have never been dissatisfied with either service or features. The monitoring service is good in that it is not overly intrusive, but still responsive when issues come up. I would like to see their pricing come down to a more comparable rate since there are less expensive options available.” – Andres A.
Vivint has a major focus on home automation, providing quality wireless home security technology. They offer a similarly comprehensive installation and setup process, with professional techs coming into your home to set the product up. They charge for this level of equipment and installation, resulting in a product aimed at those who want to avoid working directly with the technology. You probably recognize ADT as the most popular name in home security solutions. The company has been around the longest and has an accordingly strong reputation. ADT is known for its attention to detail and thorough service, including full consultation and installation. This comes with a higher price. 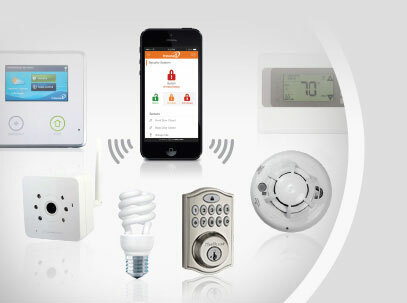 Frontpoint goes in a different direction, focusing on DIY installation, wireless security, and smartphone access to your home security setup. They’re known for quality customer service, all-cellular monitoring, and lower costs. Protection 1 is a comprehensive home security solution designed for those who want to protect their home with the latest technology, including remote monitoring and control via smartphone. Their smart home integration, cellular monitoring, and two-way communication allow for a level of control that stands above most offerings on the market. While not all levels of service offer all benefits, their overall selection is a solid bet for up-to-date home security.